As a family-owned and operated organization since 1928, our fast communication and response time are two of our many core values that distinguish us from our competition. In the Hospitality & Food Service industry, we know the importance of having professionally clean, quality linens on hand and readily available at all times. 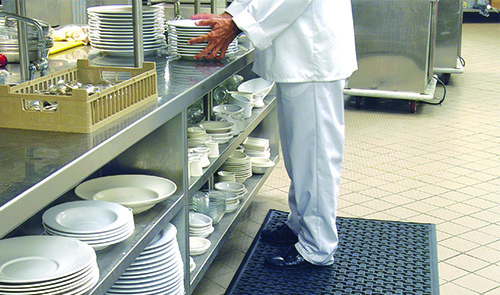 Choose a custom food service linen and facility services program for your company that is designed to enhance the image, safety, and cleanliness of your operation – while significantly reducing your costs. Your staff will represent a positive and professional image, and your customers will want to return over and over again. Our experienced Team will recommend products and services designed specifically for your facility, no matter what size business you are. Contact us today to inquire about a garment and facility services program for your company! Our experienced service reps regularly examine your dispensers, change batteries as needed, manage your inventory, and ensure quality products are on-hand for your students and employees at all times.